Raceline Black Monster Wheels offer a compact 8 spoke design built for strength and contoured to off-road racing and competition. Each window features a step that adds depth and style to the face of the wheel along with a slit down the center of each spoke. A simulated beadlock is accented with stainless bolts for the street legal but race inspired stance. The wheel is covered in a matte black finish that highlights the spokes contours and includes a Raceline logo on the center cap. Raceline manufactures and distributes the highest quality, purpose built performance wheels in the industry. 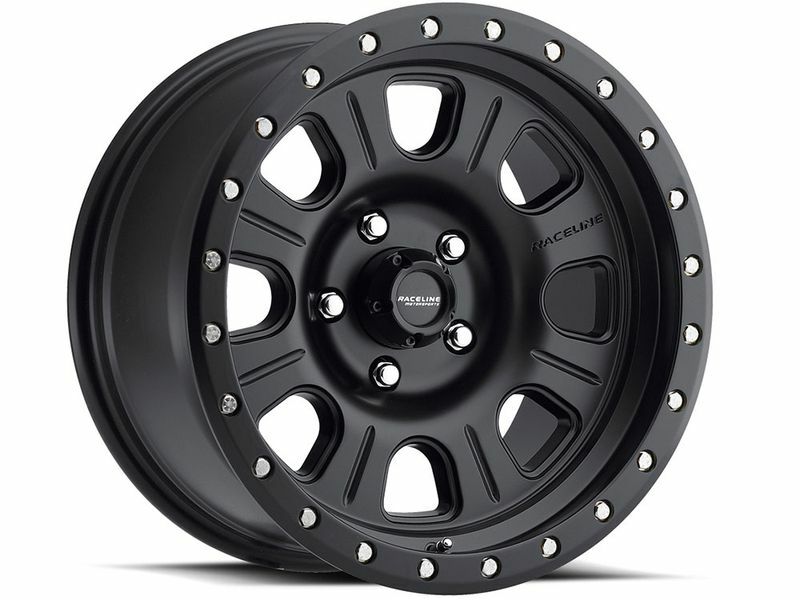 Raceline is the preeminent leaders in aftermarket wheels for both consumer and off-road racing vehicles. Developed as a result of their deep-seated roots in off-road racing, the same performance driven technology has been adapted to create a line of consumers wheels that function as well on-road as off. The wheels include a lifetime structural warranty along with a one year finish warranty. though the tire may be approved for a heaver load. RETORQUE LUG NUTS AFTER 50 MILES AND CHECK TORQUE AT REGULAR INTERVALS. If you are changing your wheel dimensions from stock you will want to have your speedometer and odometer recalibrated after installing your Raceline wheels. Changing your wheel or tire size can affect the accuracy of your gauges. If you have any questions or concerns please feel free to give us a call.